Asus ROG Claymore Keyboard: ASUS, which was a new small fish in the tech world is now becoming a giant. 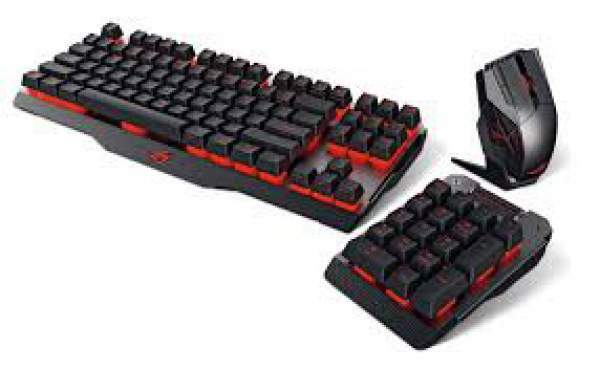 ASUS has launched a new mechanical keyboard, the ROG Claymore which is a launched for the gamers. ROG means Republic of Gamers. It was said to be launched in early 2015. But after thousands of changes and consuming plenty of time on this keyboard, ASUS has finally managed to launch the keyboard. ASUS has announced that their products, ROG Claymore and ROG Claymore Core mechanical keyboards will be coming to the market in the next week. Talking about the ROGClaymore, it is a wired USB 2.0 connectivity technology device. It is supported Windows 10, 8.1 and Windows 7. The dimensions of the new keyboard are 450mm x 145mm x 45mm and weigh about 943 grams with Cable. Check: Best Mobiles Under 15000. About the features of the RG Claymore, it is the WORLD’s first RGB mechanical keyboard with a detachable num pad, Cherry MX RGB Switches, and Aura Sync. It has fully programmable keys with ON THE FLY MACRO reading and 100% anti-ghosting with N-keys rollover technology. There will be an onboard memory to save the profiles on the go and intuitive ROG Armoury for lighting, key and stats settings and also durable aluminum construction with intricate Mayan-inspired detailing. Also, most importantly there will be individually backlit keys with Aura Sync RGB LED technology for unlimited personalization options. There will be a total of nine different present Aura Effects which are – Static, Breathing, Color Cycle, Wave, Ripple, Reactive, Starry nights, Quicksand and Custom effect. There will be a one-click cooling and overclocking technology. It will let you boot up the system, control fan speed, overclock and access BIOS. The device has German-made Cherry MX RGB switches which are Red, Blue, Brown, and Black with an unmatched keystroke durability. The four colors have the actuation distance of 2.0mm, 2.2mm, 2.0mm and 2.0mm respectively and the actuation force is 45g, 60g, 55g, and 60g. It is also said that there will be a removable module which includes a vertical wheel multifunction and many USB 3.0 ports. This also allows controlling all the multimedia functions like volume up, down, next and up. When you get the box of the device, you will get a Claymore keyboard without the right-side numeric keypad and a separate Claymore numerical keypad. Along with the keyboard, there will be a USB cable, two ROG pouches, two ROG logo stickers and a user documentations. Sileo Beta Available For Download: What is Sileo and what’s the connection with jailbreaking?